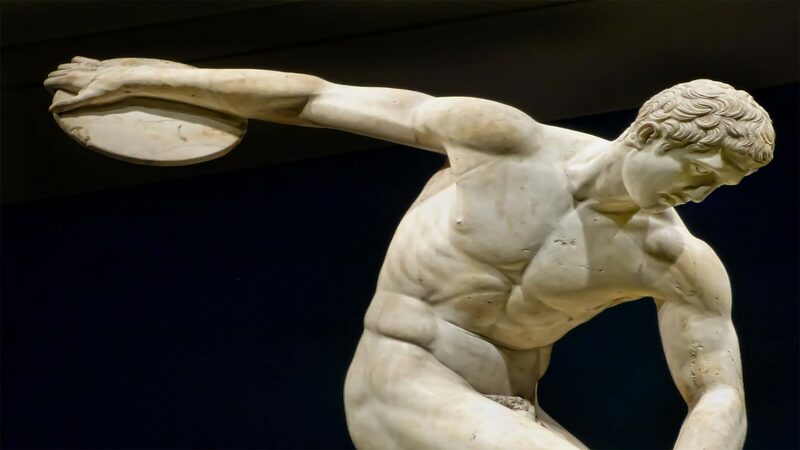 In the West Peloponnese, in the so-called valley of the gods, Olympia flourished, the most glorious sanctuary of ancient Greece and the birthplace of the most important sports events of the Olympic Games. It is one of the most well-known destinations in Greece and one of the most powerful brand names in the world. The ancient stadium of the Olympic Games, which has seen days of glory and succeeded through competition and rivalry, transforming quarrels and antagonisms, hatred and passions, into an unparalleled struggle for peace and reconciliation, with an olive branch. Around the 10th-9th c. B.C. Altis, the sacred grove that was full of wild trees, pines, plane trees, poplars and oaks, began to form. Then the worship of Zeus was established, and Olympia from a place of habitation became a place of worship. In 776 BC. were reorganized in honor of Zeus, the struggles, and the sacred truce was established. 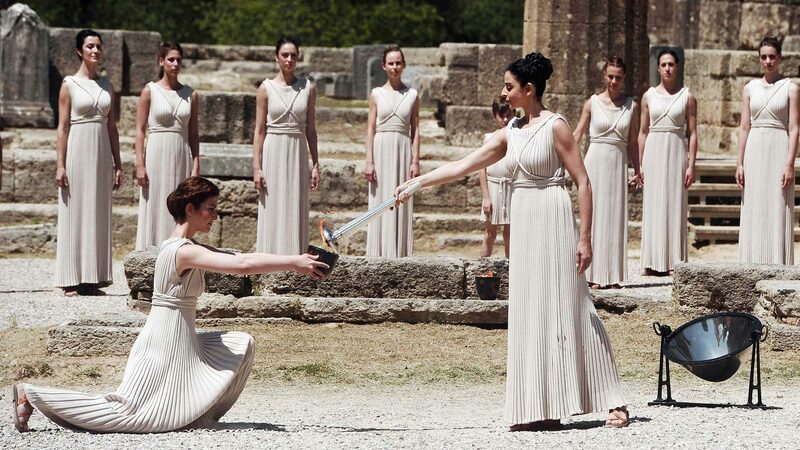 Olympia was held every four years and soon became a panhellenic character. In this unifying event, only free Greeks were allowed to take part. Greeks from the Gates of Heracles, the Caspian Sea and Africa came to fight and watch the fights, including philosophers, wise men, heroes and renowned men. Under the ceasefire treaty, all hostilities between Greek cities had to stop during the races. This agreement was valid and respected for many centuries by the Greek cities. Characteristic is the statue of Iphitus in the Temple of Zeus, where the Enemy crowned the hero Iphitus. The games lasted for five days and included: race, chariot races, discus, leap, javelin, boxing, wrestling and pentathlon. The prize winner was the coin, a wreath of wild olives. The winners of the Games were considered heroes, the poets and musicians of the season were singing their power and beauty, and the sculptors made their statues. During the Archaic period, the temple of Hera, the Prytaneion, the Bouleuterion, the treasures and the first stadium were built. The acme of the sanctuary continued in the classical era, when the majestic temple of Zeus (470-456 BC) was built, baths, galleries, treasures and the stadium outside the sanctuary of Altea. Around 430 BC was created by the famous sculptor Pheidias, the colossal golden ivory statue of Zeus Olympus one of the Seven Wonders of the ancient world and was placed as a devotional statue in the Temple of Zeus. During the Hellenistic era, the gymnasium and the palaestra were created, while in the Roman years were built thermal baths, luxurious residences and the aqueduct. The thousands of statues and other valuable works that existed throughout the holy site of Altea were lost, for the sanctuary was looted many times. His function continued in the first Christian years of Constantine the Great. In 393 AD became the last Olympic Games, as shortly afterwards the emperor of Byzantium Theodosius I forbade definitively their accomplishment. The Archaeological Museum of Olympia presents the centuries-old historical development of the sanctuary of Zeus. His most important exhibits are the Nike of Paionios and Hermes of Praxiteles. The museum hosts the richest collection of bronze objects in the world. 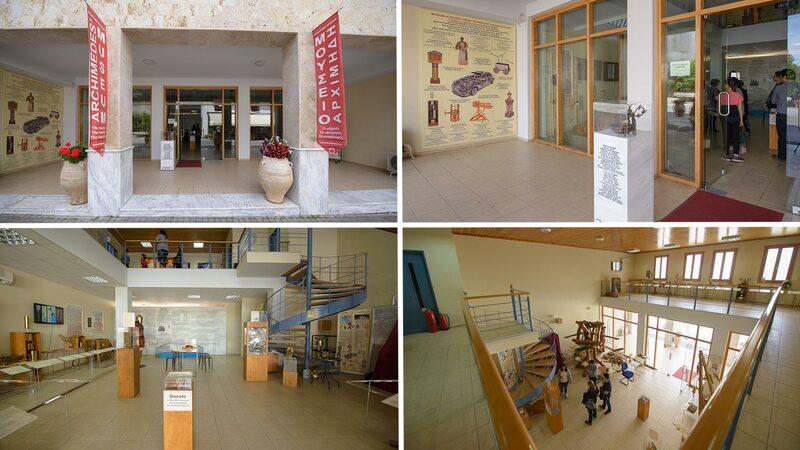 The Archimedes Museum is a unique thematic science and technology museum in Greece devoted to the greatest mathematical, natural, mechanical, astronomical and inventor of antiquity but also to the wider ancient Greek technology of its time. Archimedes has been a unique and top genius in the spiritual world of all time, bequeathed to world civilization treatises in the fields of all ancient sciences, and most importantly, he was the springboard for the development of modern science. 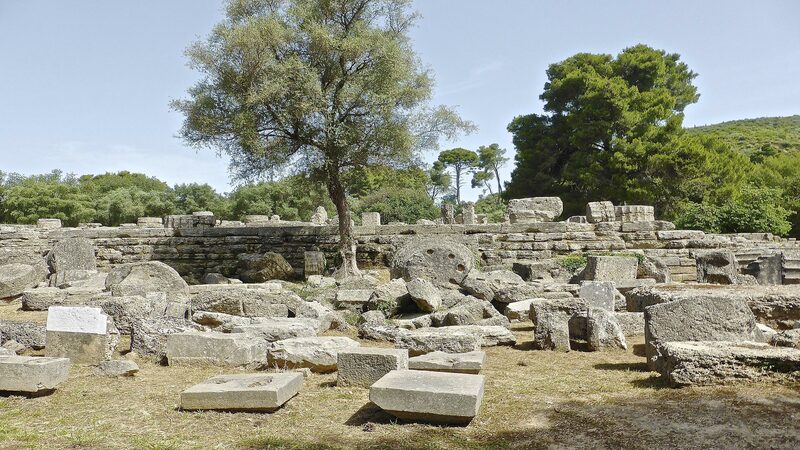 The imposing archaeological site of Olympia reveals even today new hidden treasures. It is located in a verdant area, crossed by the rivers Alfeios and Kladeos. A prominent place in the sacred space dominates the gigantic temple of Zeus, the largest of the Peloponnese, which is considered to be the perfect expression, the "Doric Priory". Other important monuments of the site are the temple of Hera, the Bouleuterion, the Prytanio, the Ancient Stage, the Pheidia Lab. 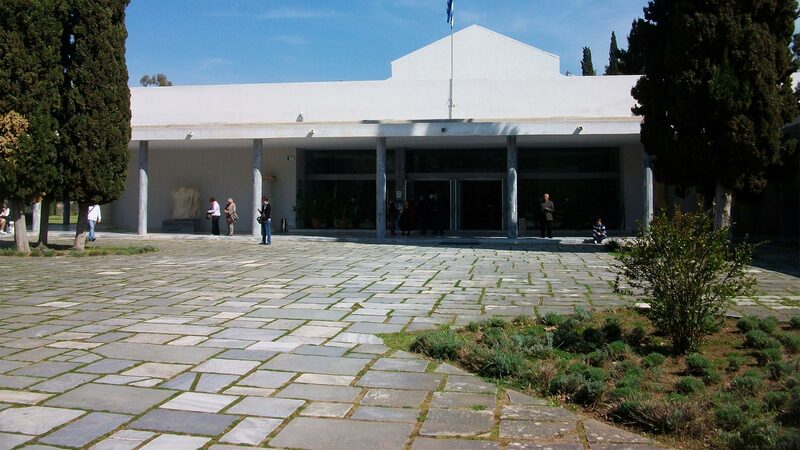 The Museum of the Olympic Games of Antiquity, was the first Provincial Museum built in Greece, donated by the national benefactor Andrea Syngrou. It hosts 463 ancient works, from the Sanctuary of Zeus and other Greek Museums that cover a chronological range between the second century BC. millennium and 5th c. The ancient Museum of Ancient Olympia has a virtual tour room and provides visitors with a 3D tour of the archaeological site analyzing the process and rules of the Games. The Olympics Museum presents memorabilia of the modern Olympiads (1896 and after their reconstruction by Baron Pierre de Coubertin & Dimitrios Vikelas as well as the world's only collection of postage stamps on the Olympics. 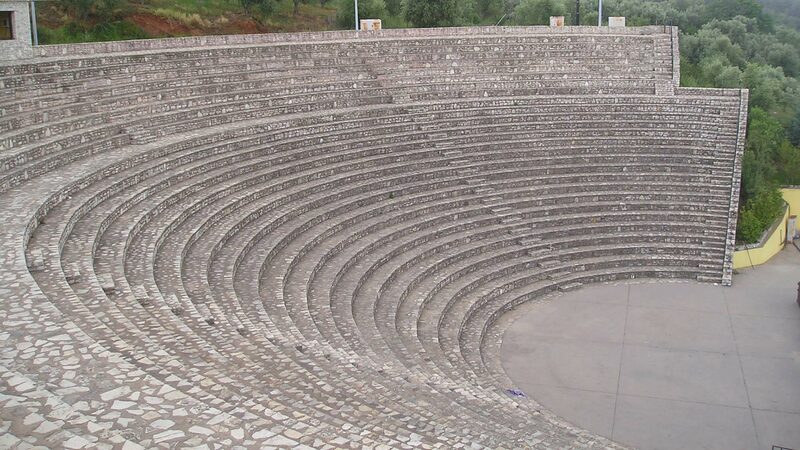 The modern theater of Ancient Olympia, in the area of Floka, with a wonderful view of the plain, has a capacity of 3700 seats and perfect natural acoustics. In the context of events taking place every summer, it hosts many high-level artistic events, contributing to the cultural and tourist development of the region.